The Worcester Festival will run for 16-days including the August Bank Holiday as this annual event, which has been running for over a decade gets underway. It is not just an Arts, Drama or Music festival but rather an amalgamation of all of them under one heading. Organised by Worcester Live Charitable trust, an independent company which runs the local Swan Theatre, Huntingdon Hall (the regions premier music venue and Henry Sandon Hall (arts venue). 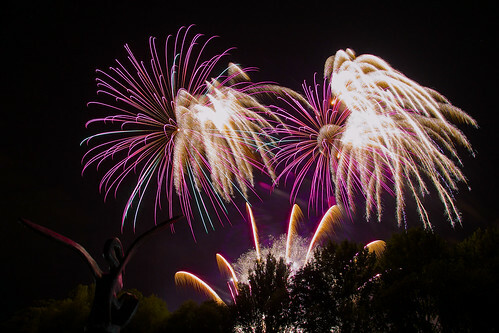 On the Bank Holiday Monday there is a fabulous firework display on behalf of St Richards Hospice which can be seen across the City by the professional display team responsible for Hogmanay and London NYE fireworks; Titanium Fireworks.